Union officials have confirmed air traffic controllers in the north will press ahead with their ballot on industrial action. 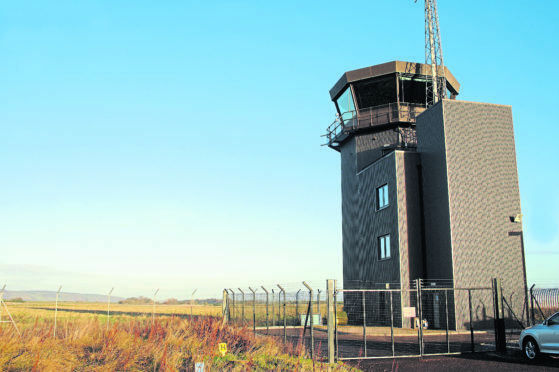 Prospect revealed yesterday that it has confirmed arrangements for the Highlands and Islands Airports Limited (Hial) air traffic controllers’ ballot. The row is over pay, with union leaders seeking a 10% pay rise to bring ATCs in line with their colleagues across the UK. But Hial management said they offered all staff a 2% increase, which was accepted by all staff apart from ATC workers. Members will begin voting on Monday, with a decision announced early in March. If backed, a series of one-day strikes will be held starting on April 1 – affecting airports at Benbecula, Dundee, Inverness, Kirkwall, Stornoway, Sumburgh and Wick. However, Prospect will also be asking members to vote on whether they wish to take action short of a strike, such as work-to-rosters, an overtime ban and withdrawal of goodwill. In an indicative ballot in October, the majority of 75 air traffic control (ATC) staff voted in favour of taking industrial action in the ongoing row. Hial human resources director Andrea Sillars, said: “We are disappointed that Prospect have decided to ballot their members on strike action. “We remain committed to continuing constructive discussions to help resolve the dispute and are open to holding further talks with Prospect on a recruitment and retention allowance for air traffic control staff. HIAL airports are operating as normal pending the outcome of the ballot on March 1.